The Central Bank of Nigeria (CBN) has raised the monetary policy rate (MPR), otherwise called interest rate, by 200 basis points to 14 percent from 12 percent. The MPR is the rate at which the apex bank lends to commercial banks and usually determines the cost of funds in the economy. It also assured Nigerians of the stability of the banking sector, saying whilst it was poised to deal ruthlessly with any misdemeanour and malpractice, the recent removal of some banks chiefs was not a sign of distress. The apex bank spoke at the end of its two-day Monetary Policy Committee meeting in Abuja, indicating that while it moved up the interest rate, it left Cash Reserve Ratio (CRR) and Liquidity Ratio (LR) unchanged at 22.50 per cent and 30 per cent respectively as well as retained the Asymmetric Window at +200 and -500 basis points around the MPR. The MPR is the rate at which the apex bank lend to commercial banks and usually determines the cost of funds in the banking system. Addressing journalists at the end of the meeting, the CBN Governor, Godwin Emefiele, said five members voted to raise the MPR while three others voted to retain the rate at 12 percent. The hike in interest rate came on the day the Naira hit N310.07 to the US Dollar even as the World Bank raised some hope of a brighter year, raising its oil price forecast for 2016 to $43 per barrel. 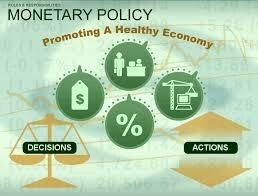 He added that currently the balance of risks remained tilted against price stability. Emefiele further explained that the committee had considered the high inflationary trend which has culminated into negative real interest rates in the economy, a condition which according to him discouraged savings. He added that the negative real interest rates did not support the recent flexible foreign exchange market as foreign investors attitude had remained lukewarm, showing unwillingness in bringing in new capital under the circumstances. Notwithstanding the hike in MPR, the CBN Governor said the bank would continue to make targeted interventions in agriculture, mineral resources and new manufacturing, adding that it was committed to boost the economy through the Anchor-Borrower programme which has recorded significant success in local rice and wheat production. The governor noted that the weak macroeconomic environment, as reflected particularly in increasing inflationary pressure and contraction in real output growth underscored the need for coordinated action, anchored by fiscal policy, to initiate recovery at the earliest time. 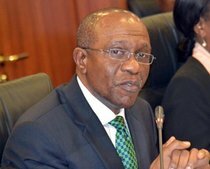 The CBN also re-echoed concerns that the economy was still saddled with the effects of the shocks of the first quarter of the year which led to a contraction in Gross Domestic Product (GDP) largely due to energy shortages, high electricity tariffs, price hikes, scarcity of foreign exchange and depressed consumer demand. He said although some of the factors which aided contraction of the economy in the previous quarter had reduced, the economy is unlikely to rebound strongly in the second quarter as a result of increasing vandalising of oil installations and setbacks in the energy sector, coupled with the rather slow implementation of the 2016 budget, which was passed late. That could effectively result in a consecutive negative growth that would usher the country into a recession. He said: “Whereas the influence and persistence of some of the factors waned in the second quarter, it is unlikely that the economy rebounded strongly in the quarter as setbacks in the energy sector continued owing mainly to vandalism of oil installations. In addition, the implementation of the 2016 budget in the second quarter remained slower than expected in the second quarter. He, pointed out however, that most of the conditions undermining domestic output growth were outside the direct purview of monetary policy. He said if the monetary policy initiatives recently carried out by the bank had been complemented with appropriate fiscal component early enough, the economy could have witnessed substantial recovery. The committee further urged the Federal Government to fast-track the implementation of the 2016 budget in order to stimulate economic activity to bridge the output gap and create employment. The committee also expressed concern over non-payment of salaries in some states and urged express action to help stimulate aggregate demand which had been down. Nevertheless, Emefiele said the apex bank would continue to take measures and deploy relevant instruments within its control to complement fiscal policy with a view to restarting growth. Also, for the umpteenth time, the CBN Governor dispelled fears in some quarters that the banking sector may be fragile following the CBN’s recent intervention and removal of the board of Skye Bank over lax corporate governance issues. He said the CBN’s intervention as a result of a misdemeanor of a particular board does not suggest that the bank showed any sign of collapse. He, therefore reassured the public that no depositors in the banking system would lose their money. Fielding questions from journalists, Emefiele said the recently introduced flexible exchange policy, though saddled with few teething challenges, has had “excellent outcome” so far and further hoped the positive trend would be sustained. He said there had been evidence of forex inflows into the economy as a direct result of the new forex regulations. He said till date, “nobody has faulted the guideline” partly because stakeholders’ input was all-inclusive. He also said it was true the banks were yet to sell forex to BDCs as contained in a recent directive. According to him, it would take a few more days to sell to BDCs as efforts are ongoing to hold engagement meetings with stakeholders. He, however, assured that the resumed sale of forex to BDCs would see rates crash drastically. Meanwhile, the MPC enjoined commercial banks to support government efforts by redirecting credit from low employment generating sectors to those capable of supporting growth, reducing unemployment and improving citizens’ standards of living. Members further agreed that the economy was passing through a difficult phase, dealing with critical supply gaps which underscored the imperative of carefully navigating the policy space in order to engender growth and ensure price stability. According to Emefiele, who read the committee’s communique, “The MPC therefore, summarized the two policy options it was confronted with as restarting growth or fighting inflation. The MPC was particularly concerned that headline inflation spiked significantly in June 2016, approaching twice the size of the upper limit of the policy reference band. The Committee noted that inflation had risen significantly, eroding real purchasing power of fixed income earners and dragging growth. “The MPC was further concerned that while the situation called for obvious tightening of the monetary policy stance, the technical recession confronting the economy and the prospects of negative growth to year-end needed to be factored into the policy parameters. He said: “The MPC further noted the prolonged non-payment of salaries, a development which has affected aggregate demand and worsened growth prospects. It also noted that at the May MPC meeting, members weighed the risks of the balance of probabilities against growth and voted to hold, allowing fiscal policy some space to stimulate output with injections, but this has been long in coming. “Members further noted that there existed a substantial amount of international capital in negative yielding investments globally and Nigeria stood a chance of attracting such investments with sound macroeconomic policies. Consequently, members were of the view that an upward adjustment in interest rates would strongly signal not only the Bank’s commitment to price stability but also its desire to gradually achieve positive real interest rates. Meanwhile, the performance of the naira was mixed yesterday. It depreciated slightly on the interbank market to N310.07 to a dollar yesterday, as against the N309.84 to a dollar it closed the previous day. On the other hand, it gained N1 on the parallel market to close at N377 to a dollar yesterday, from N378 to a dollar the previous day. Reacting to the MPC decision, the Chief Economist for Africa at Standard Chartered Bank, Razia Khan, said given the pledge to gradually restore positive real interest rates, she anticipates another 200 basis points (bps) hike in the policy rate to 16 per cent at the September MPC meeting. According to Khan, given the cost-push nature of inflation in Nigeria, which largely stems from the shortage of FX, the MPC decision was the right thing. “It demonstrates a commitment to FX liberalisation, which alone will undo some of the bottlenecks that have contributed to inflation. While the CBN framed its internal debate as choosing between growth and inflation, we believe there is no meaningful long-term trade off. Establishing more credible policy and attracting greater inflows is about as pro-growth as policy can be, given the challenges currently facing the Nigerian economy. Today’s tightening was an important step in re-establishing the credibility of monetary policy in Nigeria, and should allow for a gradual recovery in FX inflows,” he said. Commenting on the decision to keep the CRR unchanged at 22.5 per cent, the economist also noted that given weak oil prices and output, she did not see excessive liquidity growth in the Nigerian economy. On his part, the Head of Research of Lagos-based Cowry Asset Management Limited, Edgar Ebinum, argued that the increase in MPR would impact negatively on the equities market. He, however, predicted that the move by the committee would be felt positively by the fixed income securities market as yields for treasury bills hover around 17 per cent. CSL Stockbrokers Limited in a report stated that the MPC decision would have two consequences on the economy. “Firstly, it will help to support the exchange rate and, in turn, reduce the imported component of inflationary pressures. Secondly, an increase in supply of foreign exchange would improve the access of domestic manufacturers to FX needed to import capital goods and inputs. As such, the improvement in the supply of foreign exchange will help to stimulate economic growth,” they stated. The World Bank has raised its 2016 forecast for crude oil prices to $43 per barrel from $41 per barrel due to supply outages and robust demand in the second quarter. It noted that oil prices jumped 37 per cent in the second quarter of 2016 due to disruptions to supply, particularly wildfires in Canada and sabotage of oil infrastructure in Nigeria. It stated that the revised forecast was in the World Bank’s latest Commodities Markets Outlook and takes into account a recent softening of demand and the recovery of some disrupted supply. “We expect slightly higher oil prices for the second half of 2016 as oil market oversupply diminishes,” Senior Economist and lead author of the Commodities Markets Outlook, John Baffes said. According to the report, despite the recovery of oil and many other commodity prices in the second quarter of 2016, most commodity indexes tracked by the World Bank are expected to decline this year. “This trend is due to persistently elevated supplies, and in the case of industrial commodities – which include energy, metals, and agricultural raw materials — weak growth prospects in emerging market and developing economies. However, most of the declines are projected to be smaller than expected in the April outlook. Metals prices are projected to fall 11 percent in the coming year, a sharper decline than the 8.2 percent drop forecast in April, reflecting weak demand prospects and new capacity coming on line. Agriculture prices are forecast to fall less than projected in April as a result of reduced harvests in South America and plateauing demand for biofuels,” it added.